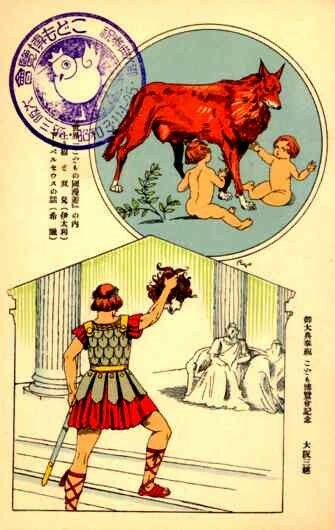 Babies with Wolf Warrior Holding Up Head | VintagePostcards.com: vintage, old, antique postcards for collectors. The scenes of the Greek history. Artist signed, published in Japan.